Recruitment for the 13th edition of the Academy of Young Diplomats is still ongoing. Apply until 31 July and join a group of exceptional international students in Warsaw. AYD program includes 70 hours of skills trainings & workshops, allowing you to polish skills necessary to pursue a career in international environment. As an AYD participant you will meet distinguished guests, politicians and experts as well as your peers from over 15 countries. 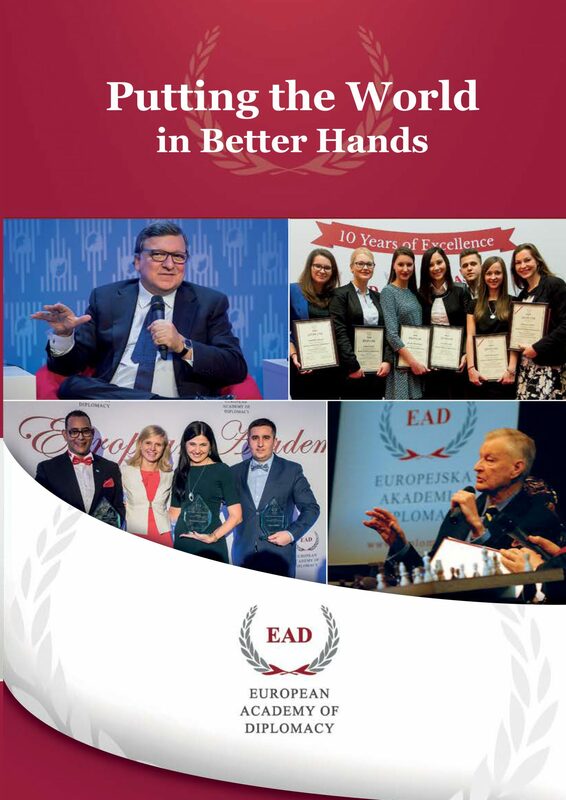 Upon graduation you will become part of the EAD Alumni Club with over 5000 international members working for ministries, European institutions, international business and organization.